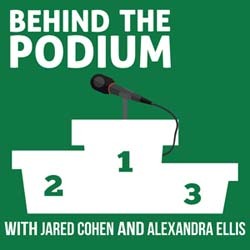 Today, Jared and Alex go behind the podium with Keith Wittenstein, a coach who has an eclectic source of experience within the realms of fitness, multi-modal movement-training, mobility, and injury/pain recovery and management. Keith is well versed in CrossFit, vinyasa yoga, Yoga Tune Up®, gymnastics, kettlebells, Olympic Weightlifting, and Jiu Jitsu and takes great pride in being a coach’s coach. He is a veteran member of the CrossFit Level 1 Seminar Staff and leads CrossFit specialty seminars on kettlebells, gymnastics, and Olympic Weightlifting.